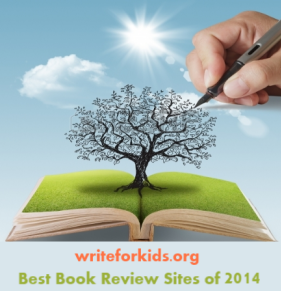 This reviewer received a copy of the book from the publisher. Children are fascinated by magic. Years ago, a young boy named Jake was one of those children who was always telling me he wanted to be a magician. Every week he would come in to show me a new trick he was working on. He also read through the magic books in my library over and over again. Each time he read the same book, he told me, a particular trick made more sense. Jake not only loved books on how to perform tricks, but he loved reading biographies of famous illusionists. I know that Jake, now all grown up and in college, would have loved poring over the biography of long forgotten magician, one of our country’s greatest, Harry Kellar (1849-1922). Written by Gail Jarrow, The Amazing Harry Kellar: Great American Magician is first rate. Foremost, what pulled me in was the book’s design. The size, 9”x11.5” is perfect for displaying the stunning Stone Lithography posters, obtained from the Library of Congress, that Kellar used throughout his career to advertise his magic show. Most of them are in full color and highlight some of his more famous tricks and illusions. The author also included black & white photos of other magicians performing at that time, including Harry Houdini. Born Henry Kellar in Erie, PA, 1849, he ran away from home by age 11! 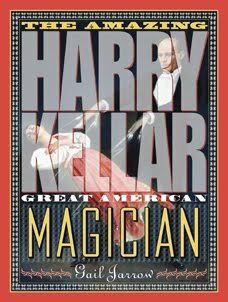 While selling newspapers in New York City, Kellar was “offered a home and a tutor who would educate him for the ministry.” It was at this time Henry saw his first magic show. “The magician called himself the Fakir of Ava. Henry was mesmerized as the Fakir turned pieces of paper into coffee, sugar, and milk. At that moment, Kellar “got the urge to go onstage.” Soon after, he decided he wasn’t cut out to be a preacher and took off again. Fortunately, Kellar “spotted a want ad in a newspaper from Buffalo, New York.” The Fakir of Ava was looking for an assistant! After apprenticing with the Fakir for several year, at age eighteen Kellar changed his name to Harry and hit the road with his own show. Jarrow does an excellent job of offering just the best bits of Kellar’s life to draw in readers. We learn of Kellar’s drive to work hard, and his determination to be the best magician American’s had ever seen. Reading about his amazing tricks made me wish I had seen him, especially Kellar’s illusion, Blue Room where his wife Eva would slowly melt away and turn into the magician himself. I know my young friend Jake would have loved to see that trick. The book is well-documented with source notes, a bibliography, a listing of books, websites, and DVD’s for more information, an index, and...a timeline. This book should be on the shelves in every library’s collection. To see an inside glimpse of this book go here. 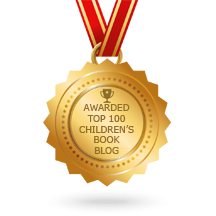 Visit the author’s web page. The Houdini & Nate Mysteries by Tom Lalicki, Garden of Abdul Gasazi by Chris Van Allsburg, Horten’s Miraculous Mechanisms by Lissa Evans, The Houdini Box by Brian Selznick, and Milo’s Hat Trick by Jon Agee.